For rent our beautiful Hymer / Eriba camper. 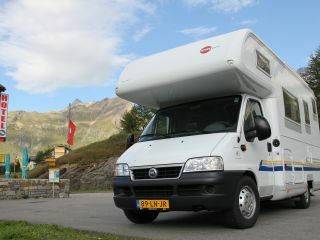 For rent our Hymer / Eriba camper. The camper is suitable for traveling with 4 people and 3 people can stay overnight. 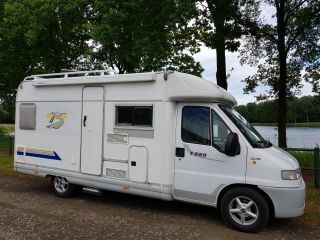 The camper is equipped with a 3 liter Renault engine with 150 hp. The camper drives like a passenger car. The camper is also fully equipped. The camper is equipped with a Domestic Freshjet 2200 air conditioner for a pleasant indoor climate. A bicycle carrier (Bosal II) suitable for transporting a maximum of 2 electric bicycles is provided by us. We are economical on our campers and hope that tenants are this too. 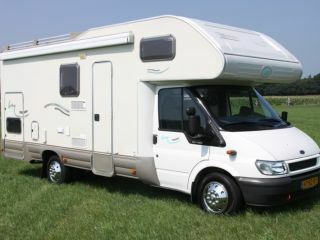 Beautiful compact 4 person camper, super reliable!